New job posting! 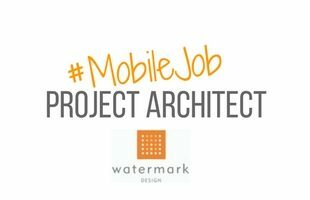 Watermark Design Group is looking for a Project Architect with experience in the commercial and municipal sectors with projects ranging from mixed-use, multi-family, and hospitality projects to schools, fire stations, and community centers. Project experience should include new construction, renovation, and adaptive reuse. Candidates for this job should display a balance between design oriented and creative thinking, and technically grounded and process-oriented production. Candidates should be self-motivated and service-oriented with excellent communication and organizational skills. Candidates should have the ability to multi-task and work collaboratively within a multi-disciplinary Architecture / Engineering design firm. We offer a dynamic and collaborative work environment that provides opportunities for growth and advancement and encourages our design team to take ownership of projects while they guide the participation and contributions of other team members. To learn more about this job opening, click here.